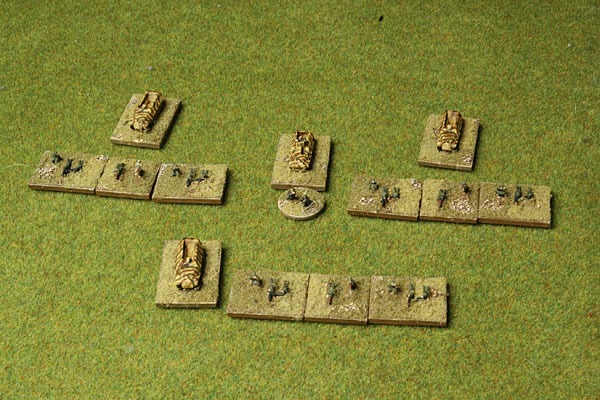 Now completed a full Panzergrenadier company all mounted in halftracks. All models are from Heroics and Ros. Kompanie HQ – A command stand, four Panzerschrekts (these will normally be attached out to individual platoons) an SdKfz 251/3 command halftrack and an SdKfz 231/17 with 20mm cannon. 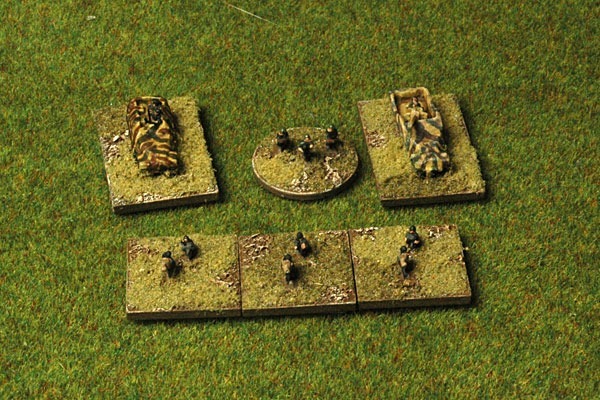 Panzergrenadier Zug – Command stand with SdKfz 251/10 and three rifle Gruppe each with with an SdKfz 251. That’s my Germans just about complete. A few armoured cars to finish and I’ll have all I need for the Blenneville or Bust campaign, a friend is doing the Falschirmjäger.